Going Up! Power Supply Protection for Elevators. We’ve all been in an elevator at some point in time. But have you ever thought about the power supply that keeps the elevators moving? At Energy Control Systems, we rely on the latest technology to help our clients control the power quality that operates their elevators. The software and hardware used to operate today’s elevators are definitely more reliable than that of the past, but it is also highly sensitive to fluctuations in power surges. It isn’t just the strong surges from lightning or utility companies that cause software confusion and elevator downtime, and that is why a typical surge protective device will not suffice for the technology used to operate elevators. To keep your elevators up and running, cut costly repairs and unnecessary maintenance, you need SineTamer®. SineTamer® is actively involved in the protection of elevator systems and components around the world. In every known instance of applying SineTamer® to existing issues related to power, all have been eliminated and the return on investment has been 10 months or less. Success Stories from Around the Globe! One of ECS’s early experiences in Central America involved a major utility generated power surge destroying a number of elevators and related equipment in one building, while right next door, being fed from the same transformer, not a single elevator component was damaged. When asked why, the foreman of the unaffected building said, we installed SineTamer®. Seeing the benefits first hand, the other building installed SineTamer® and has not dealt with downtime since. Another instance at the World Trade Center of a South American capital city, the elevator systems (30 in total) would routinely experience 5-7 issues daily. In addition to those were the constant deprogramming failure of the HMI’s on each of the 22 floors. At a loss of where to turn, the elevator provider looked to us for the answer. Upon installation of SineTamer®, all failures, lockups, and loss of program ceased 100%. 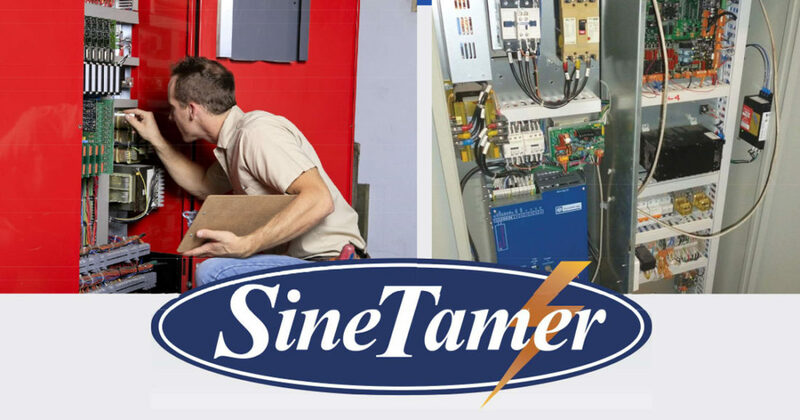 In Southern Brazil, a hotel was plagued with constant recurring elevator failures even though they had installed surge suppression in the panels, which presented a whole new problem of overcoming the common objection of, “We installed surge suppressors and we still have the problems.” Once we convinced them to install SineTamer®, which is more than a surge suppressor, in the elevator control cabinet and remove the existing SPD, maintenance intervention decreased 90% and the return on investment was 9 months. Energy Control Systems provides the latest technology to our clients to ensure their systems are operating smoothly and efficiently, and this includes much-needed power protection for elevators! To learn more about SineTamer®, CLICK HERE.